Company Bio: Geffers Construction - "Your Satisfaction is Our Future"
Jason Geffers has been in the construction trade for 32 years, building projects & building relationships. His extensive knowledge & hands on experience in all aspects of the construction industry, elevates the quality, detail, & design of your project. 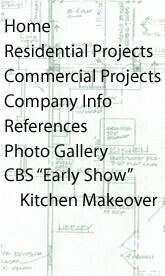 Whether building or remodeling, 100% satisfaction is essential to long lasting relationships. Jason is a life long resident of Oshkosh, married to his wife Lori for 29 years and has four beautiful children. He has traveled to India, Myanmar, Mexico, the Bahamas, & Honduras for mission work.